Today we are reviewing the Haypigs! Circus Hidey Hut. 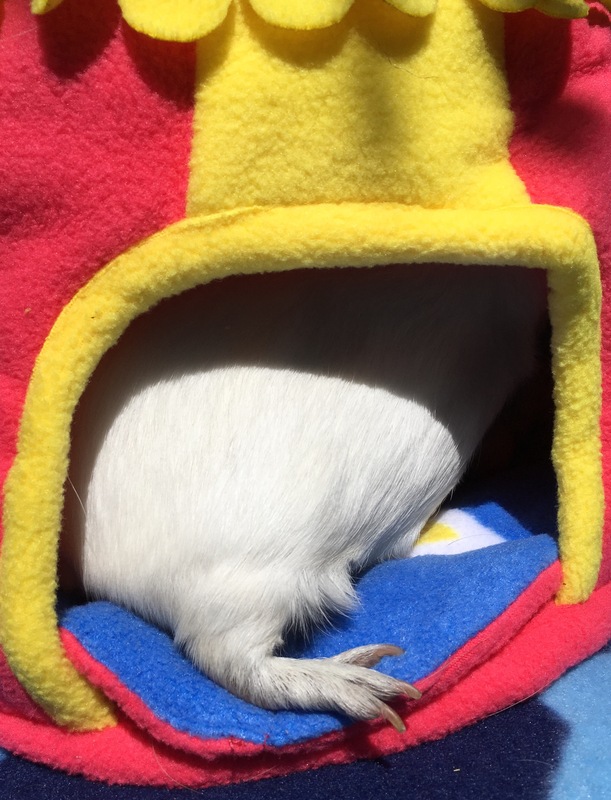 A Circus themed Guinea Pig bed. Made of soft snuggly fleece. Includes two interchangeable pee pads. Secret food away in it. 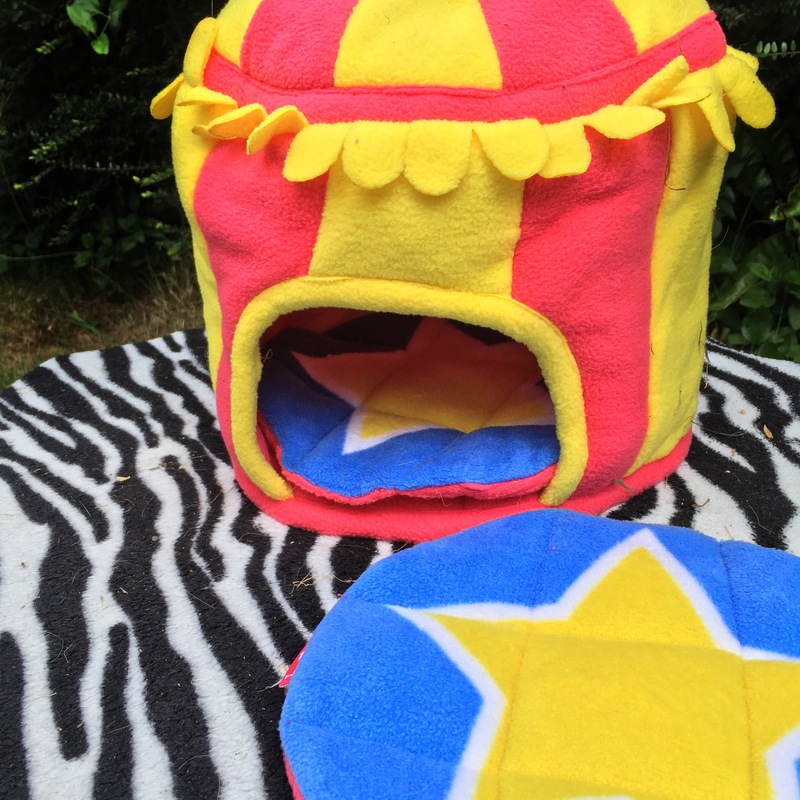 Amazon – Haypigs Circus Hidey Hut eligible for Prime Try Prime Free. The Haypigs! Circus Hidey Hut has TWO pee pads! The joy is real. No more washing the entire bed just because Tabby likes to tinkle. Simply replace with a freshly washed interchangeable pad. Made from soft, snuggly fleece the Haypigs! Circus Hidey Hut is warm and comfort to curl up in. The Circus Hidey Hut is machine washable and designed to keep its shape even after multiple washes. The structure of the Hut feels sturdy and good quality, with lots of reinforcing seams. I love the fact that you can scrunch the Circus Hidey Hut up in storage and it will still burst back to its full circusy goodness. 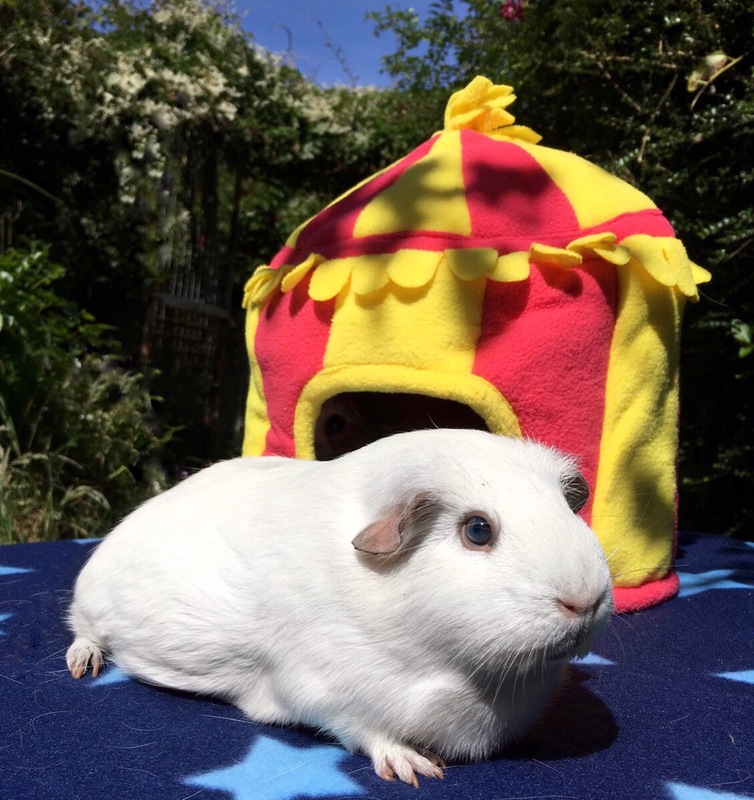 The Circus Hidey Hut is a good size; easily fitting two adult (slightly tubby) Squidgypigs. But not being too big and overpowering in smaller cages. The Haypigs! 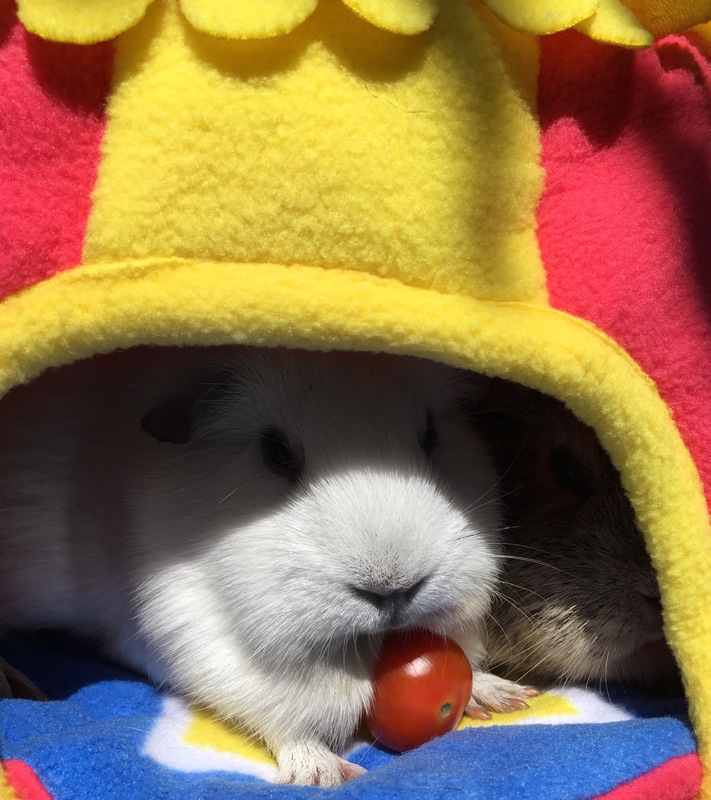 Circus Hidey Hut would make an awesome statement piece in any Guinea Pig house. The Haypigs! 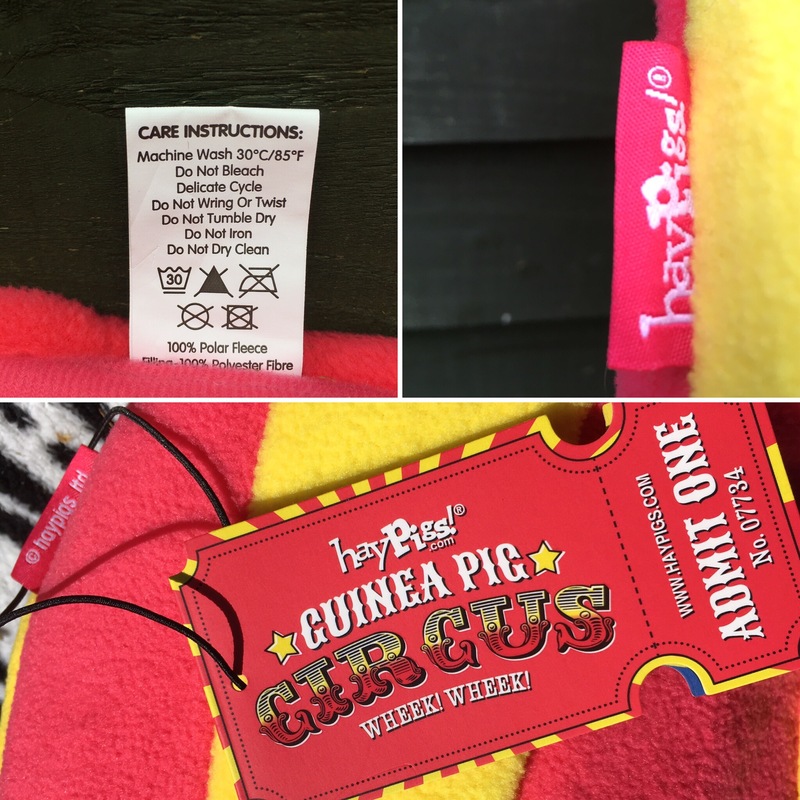 Circus Hidey Hut The bright fun aesthetics, high quality of build and inclusion of the double interchangeable pee pads sets the Haypigs! Circus Hidey Hut ahead of other beds. If you like this Haypigs! Product why not check out their other Guinea Pig goodies HERE!